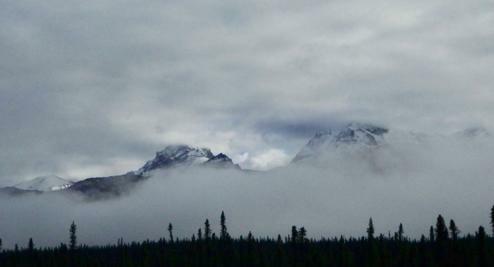 On the morning of August 24th, clouds from an evening storm lifted to reveal fresh snowfall on the surrounding mountain peaks. That sprinkling of snow, termination dust, declares that winter now steadily approaches. Wild animals are on the move, we enter our final preparations for the quick free-“fall” into winter, and snow creeps ever closer to our elevation. August proved to be a productive month at the homestead. 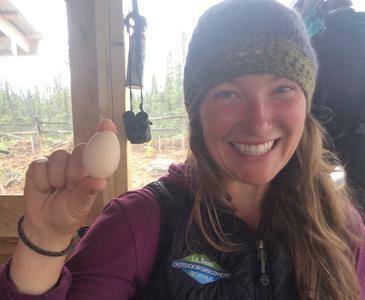 Early in the month, our chicken laid their first eggs! Breakfasts of new potatoes, fresh greens, and stand-up eggs with sunshine-hued yolks and creamy whites graced our plates. Our flock is a mix of Icelandic and Swedish Flower hens. Both of these hardy breeds are known as good foragers, lay late into the winter season, and readily “go broody” to provide us with replacement chickens. We are grateful to our resourceful chickens who eat our weeds, fertilize the garden, and provide us with dependable nutrition. 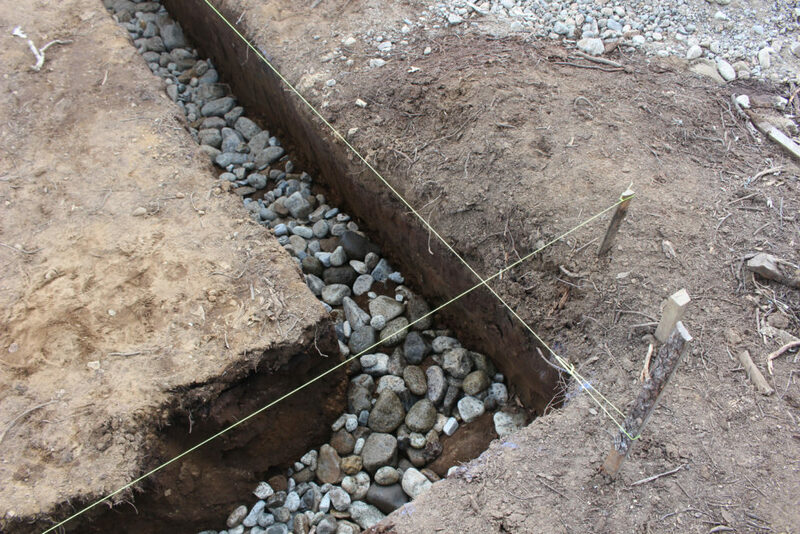 Another milestone reached during the month of August was the digging and pouring of our new addition foundation. 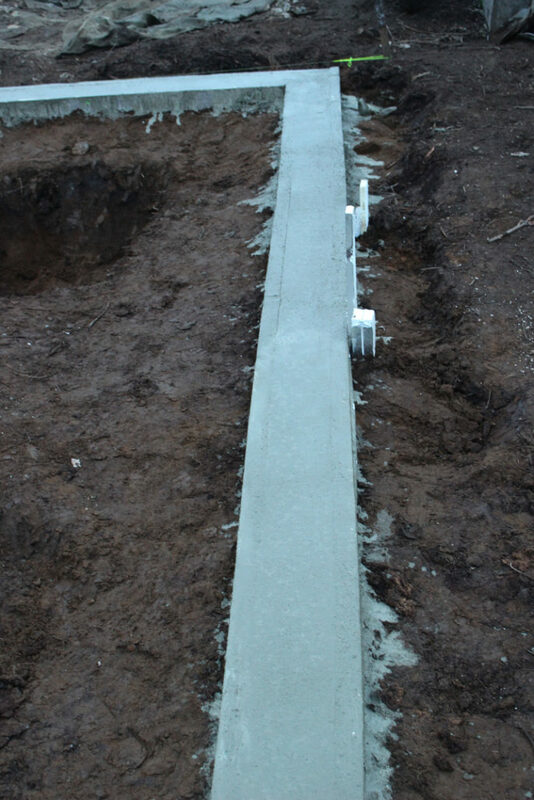 This foundation marks the completion of a years worth of planning and stockpiling bags of portland cement for our sturdy base. We began collecting bags of cement one year ago. They were thrown onto planes of area pilots whenever there was room, dropped 3-10 miles away from the homestead, and packed in on horses. Logistics can be complicated at the homestead, and every activity requires extra time and a great deal of advance planning. 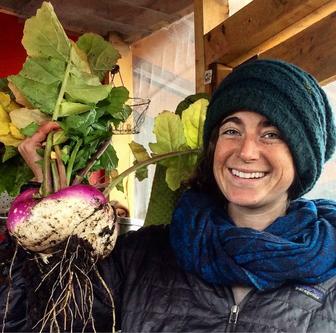 Our foundation would not have been completed without assistance of WWOOFers Caity and Andrea. We are grateful for their friendship and hard work! 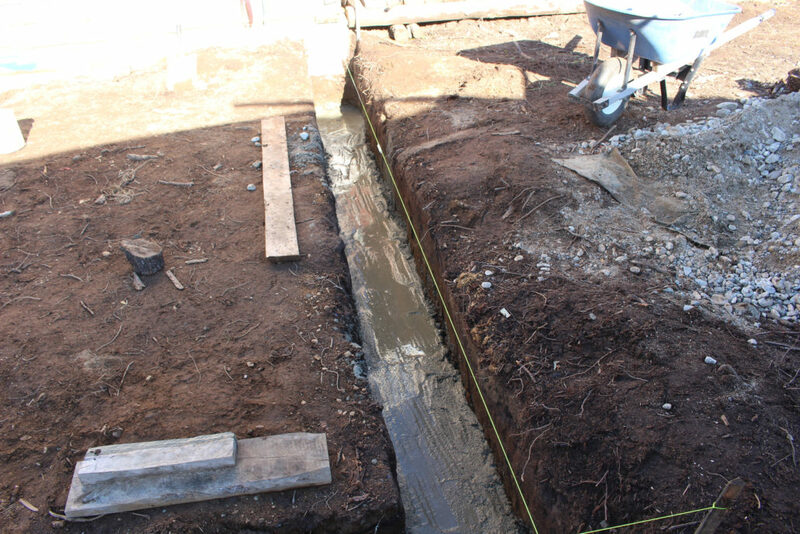 Other improvements include the milling of interior paneling from logs sourced on the property. This spruce paneling is for the interior of the existing cabin. We have begun installing the paneling. Underneath is a new layer of insulation. Though only half completed, the cabin stays noticeably warmer. We look forward to this added insulation during the cold nights of winter. It will cut down on our wood consumption, thus decreasing our workload and the tanks of gas run through our chainsaws. 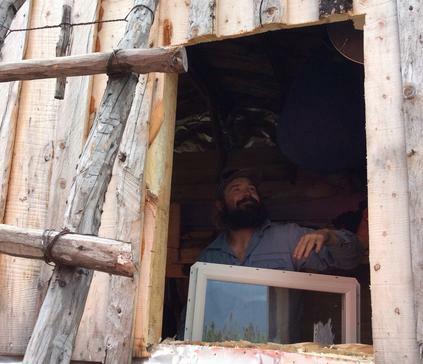 We also put a new, opening window in the cabin for better ventilation. The garden continues to grow and flourish. We enjoyed large salads, harvested 5-10lb turnips, made sauerkraut, and canned excess produce. Morgan cut a door in our cabin floor for access to the root cellar we dug last fall. Feed sacks and sawdust await the final harvest. 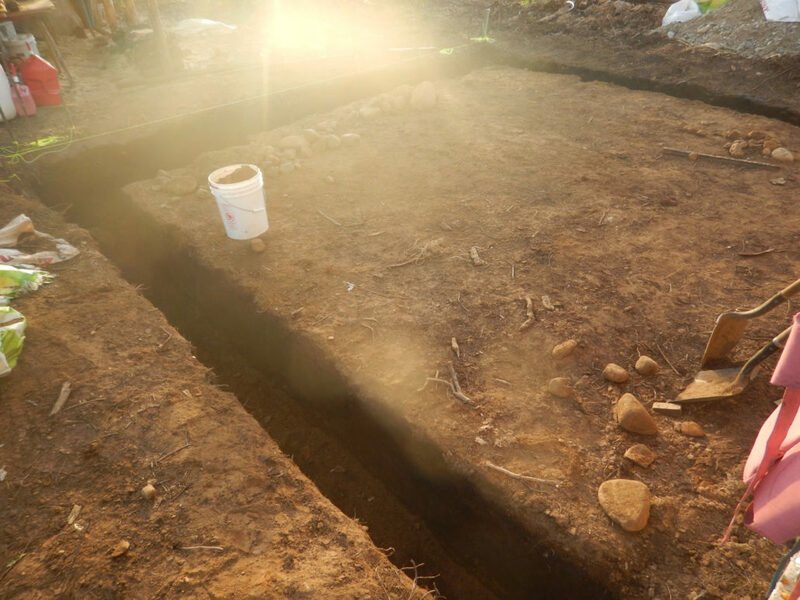 Soon, the cellar will be filled with kraut crocks, carrots, kohlrabi, potatoes, turnips, beets, storage radishes, and fodder beet (for winter horse feed). 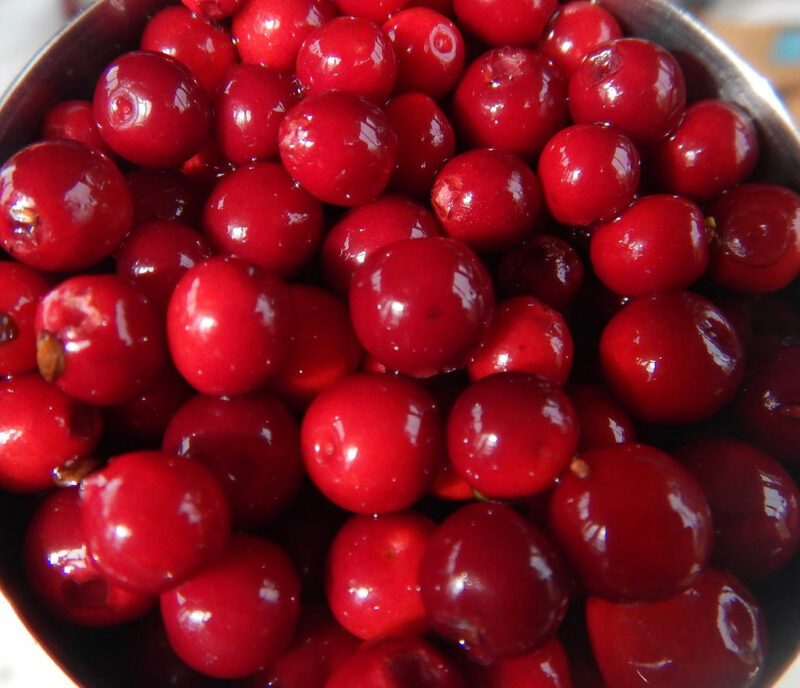 At the end of the month, the colder temperatures increased the sweetness of native berries. We harvested gallons of berries for winter wine, pancakes, and snacking. 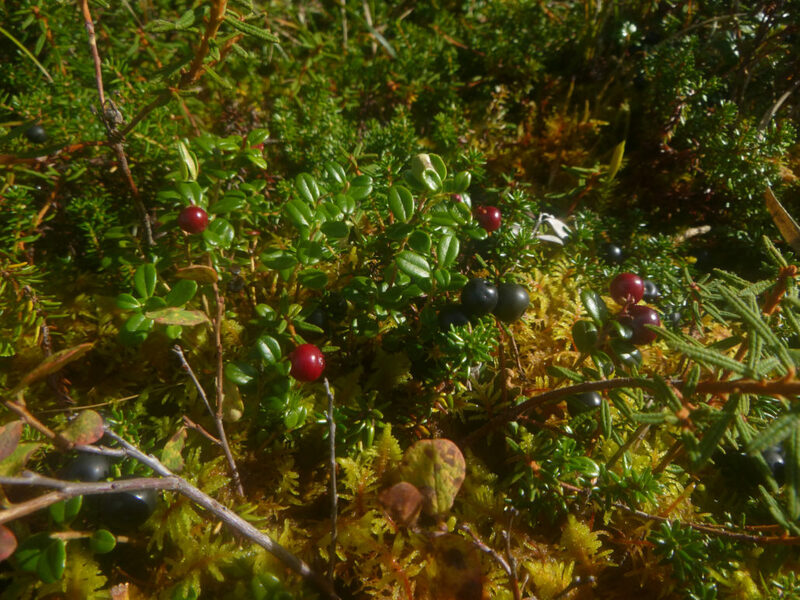 Roeships, crowberry, blueberry, lingonberry, high bush and low bush cranberry are all found in our surround woods and hillsides. 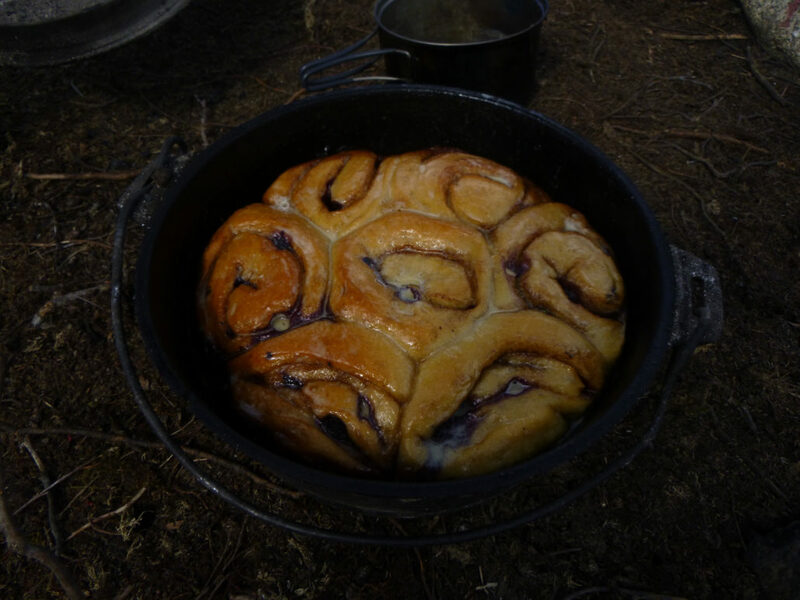 We made sure to enjoy them fresh, seen below in sourdough cinnamon buns with birch syrup glaze and fresh blueberries. In other news, Rufous had his first encounter with a porcupine on our airstrip. He walked away with quills all over his face and in his mouth. While we were able to get most quills out of his face, we were unable to pull the most deeply embedded quills in his nose and those deep in his mouth. It is hard wrangling a hurt 100lb dog! We called in a doggy medi-vac flight from a nearby hunting lodge. Margaret and Rufous had a whirlwind less-than-24-hour trip to town, and Rufous had his first Piper SuperCub Flight! He has healed, and hopefully learned the valuable porcupine lesson. In late August, the grizzly bears are thick on the foothills and caribou begin to form small, roaming bands. These wildlife habits make for fantastic animal viewing hikes. On one trip, we watched a sow grizzly and two cubs gorge themselves on blueberries. The cubs chased, romped, and play fought around mom. This family frequented our nearby hills last year, and we have enjoyed watching the cubs grow up. On another outing, we eyed a band of caribou cows, a young bull following sheepishly behind. When they noticed us, they slowly circled and allowed great views of all of the band members. One occasion, two short-eared owls flew past us low on the hunt for tundra rodents. 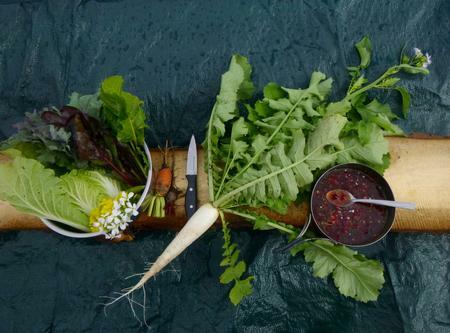 These are the experiences we have the privilege of sharing at our homestead: close communion with the land, the seasons, and our wild neighbors. Our lives persist in parallel, each species preparing for colder temperatures and longer nights. The bears increase their fat on thick patches of blueberries near winter dens and caribou shed antler velvet, and begin migration to winter grazing. Meanwhile, we stockpile our food, wood, and prepare our cabin nest for months of stars, aurora, and condensing breath. The rhythm of days slowly changes as we keep our eyes on the hillsides, slipping into vibrant fall colors, and await the day snow falls crisp and clean outside our cabin door.